Do you like using matchsticks to light candles, incense, cigars, fireplaces, and such? Do you ever make crafts or gifts by putting matchsticks in jars, only to realize that you don’t have a durable or attractive striking surface? Do you own an antique match holder or pretty container of fireplace matchsticks and just need to replace the striking surface every once and a while? Do you go camping, fishing, or hunting, and need an emergency source for making campfires? Are you a magician or theatre professional (props master, properties master, stage manager) who needs to order match strike paper or match strikers in bulk for your performances? Are you a marketing firm, PR firm, printing company, or letterpress company, who is making or sourcing custom matchboxes or matchstick jars for a client, and the project requires a specific shape and size of match striker? 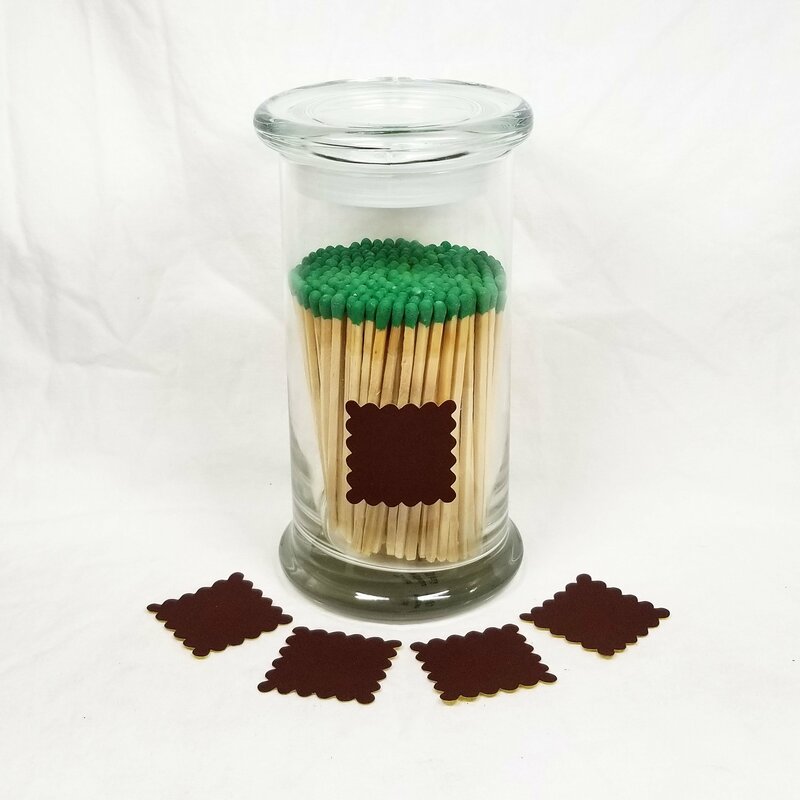 Are you a getting married, or you're a wedding planner, who is making matchboxes or matchstick jars for your wedding favors that require a small striking surface? We’d like to present our solution – match strike paper and die-cut match striker shapes with adhesive backing. We import sheets of them from matchstick manufacturers in China, using exact same material used on matchbooks and matchboxes everywhere. They are roughly US letter size (8" x 11") and work with standard safety matches as well as strike-anywhere matches. 1. By the Sheet: Cut them yourself with scissors, paper punches, x-acto knives, and other typical cutting tools. 2. By the Shape: We use a Silhouette Cameo 3 to die-cut the sheets into a variety of shapes that are perfect for crafts and gift giving. 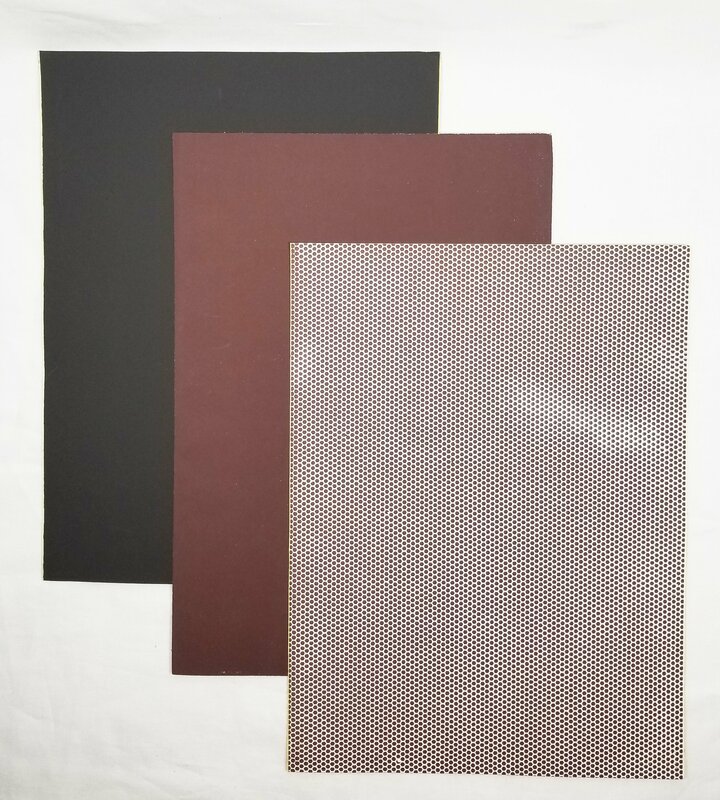 Match Striker Sheets come in variants of black/dark gray, brown, and honeycomb (dotted) pattern. They range from $4.50 to $8 depending on appearance. It's natural and common for striker sheets to have imperfections, especially around the edges, but some have more than others. * PREMIUM/Excellent sheets are generally smooth with consistent color, with few blemishes. They are the best of bunch, but when they're gone, they're gone - until I order new inventory, which is usually twice per year. * REGULAR/Good sheets have some spots or blemishes but are easily ignored or can be cut around. They are ideal for most craft projects. Similar to premium sheets, they are in limited supply. * BARGAIN BIN/Fair sheets have more noticeable blemishes - like smudges, streaks, spots, discoloration, creases, tears - but they work just fine. 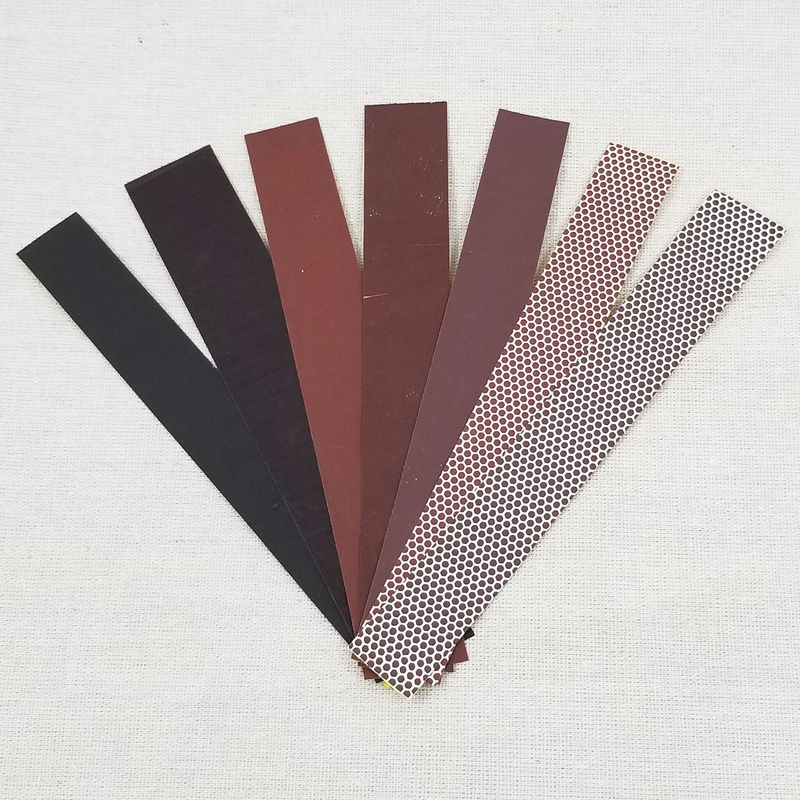 Our sample match striker strips are the perfect way to play around with match striker material to see if it works for your project. 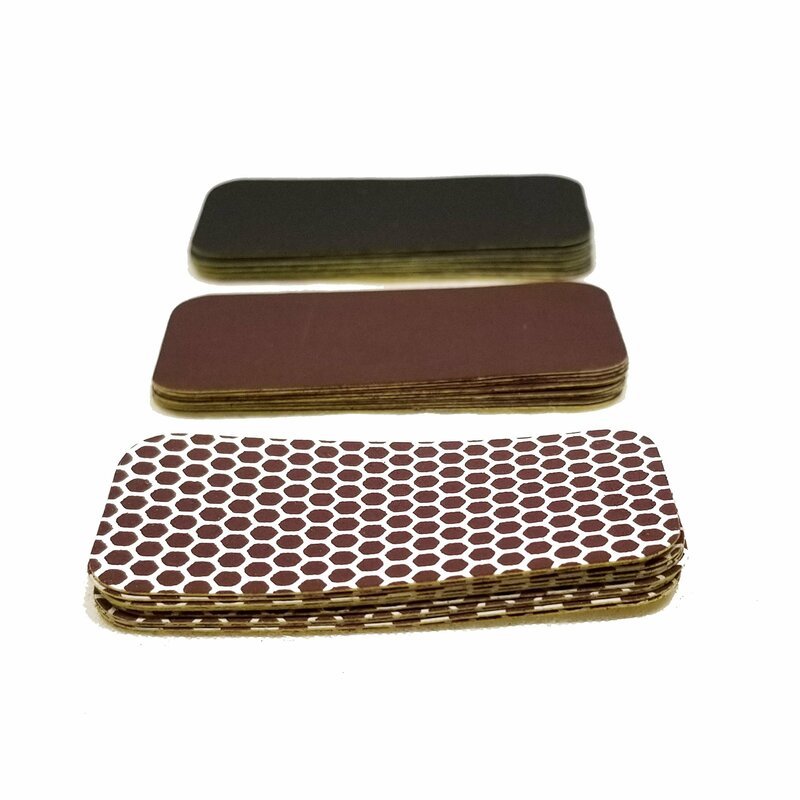 You can efficiently test your designs, along with making sure the adhesive backing is strong enough for whatever surface you are using. Purchase via the PayPal button below or on Etsy or Ebay. Match Striker Shapes range from 40 cents to $1.50, and they are sold in packs of 10. They come in standard shapes like circles, squares, rectangles, rounded squares, rounded rectangles, and ovals, as well as unique shapes like hearts, cats, scalloped squares, and outlines of United States. They are available on Etsy and Amazon. Match holders have been around in some fashion or another since the birth of the matchstick over 100 years ago. Think of our product line as glass matchboxes -- a modern twist on a very old product. We find attractive vases and jars, drop in matchsticks that come in all kinds of colors, and then adhere an attractive and unique striking surface on the side -- from hearts and moons, to letters of the alphabet, to outlines of the United States. Each match holder is a gift-ready set, containing matchsticks, a striker on the side of the container, and 4 extra replacement strikers. 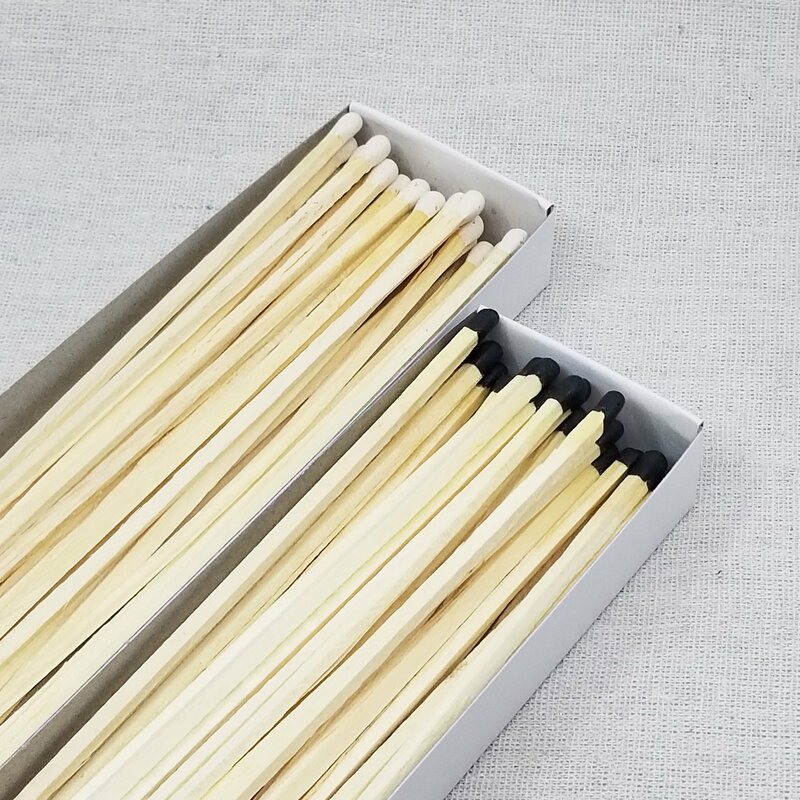 Our 11 inch matchsticks come in black or white tips and are the perfect length for lighting candles, cigars, and fireplaces. 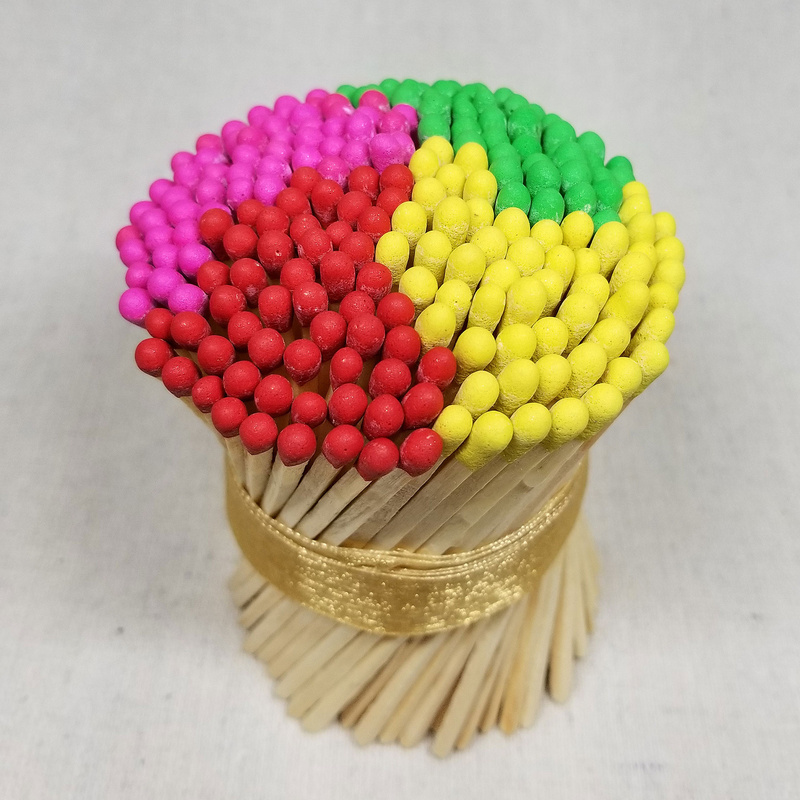 Our 4 inch matchsticks come in a rainbow of colors. For now, we are reselling HomArt brand matches, which come in decorative boxes. For the 2019 holiday season, we will have a few colors available in plain white boxes. View them all on ETSY.